If you want to know how failure tastes like, just ask Jeremy Teng. Having lost eight out of ten of the singing contests he joined in Singapore, the 20-year-old understands exactly the bitterness and pungency that comes with it. Nonetheless, as rejection piled up, so did his passion to make it big in the music industry. The bitterness soon turned bland and upon accepting an invite to join Nodojiman The World, one of Japan’s most prestigious vocal contests, there was no turning back for Jeremy. “I’ve joined singing contests since the time I started to know I could sing. Along the way I’ve gained valuable experiences and made lots of new friends even though I didn’t win. After all luck is also part of the equation when it comes to winning, so I won’t say I’m surprised. I think I treasure the process much more than I do the result,” Jeremy said. Jeremy outsang 19 other contestants from all over the world, including Italy and Brazil, to emerge as champion of Nodojiman The World last month. He went home with a trophy too. Part of his training came from the regular song covers posted on YouTube. Jeremy has been a member of the video-sharing platform since 15 and his account has garnered more than 900 subscribers up to date. A quick check by Vulcan Post showed that Jeremy’s videos have collected a cumulative of about 35,000 views from the videos uploaded in the previous five months. The most popular video within the same period of time was a cover of Eyes Closed by Japanese R&B and pop singer Ken Hirai, with almost 13,300 views in total. “I think having a platform like YouTube on which I can display my covers and songs is really helpful. I get to spread my music to the public, and I get valuable comments from my viewers. Not all comments are constructive; some are just like ‘hey you sing very well’, and I appreciate them too because we just need some form of positive affirmation from time to time to help us get moving,” Jeremy uttered. 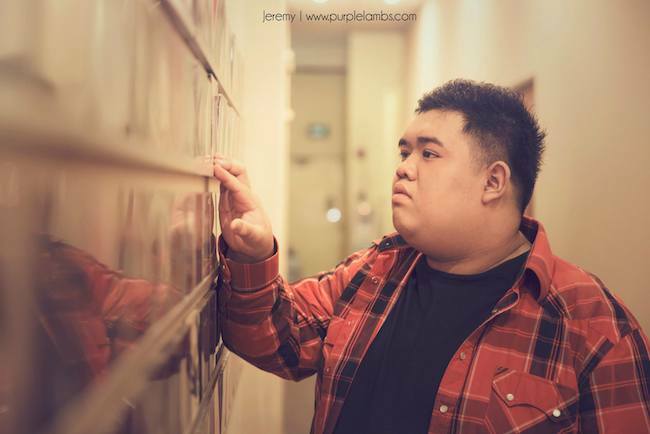 Jeremy is not the first Singaporean YouTube singer to achieve success offline. Singer-songwriter Siti Zahidah performed her originals online since 2010 before eventually winning 98.7FM’s The Next Big Thing a year later. Despite winning Nodojiman The World, Jeremy has remained true to his style, continuing to sport his laid back shirt and jeans. He does not pretend and is living proof that quality that comes from within the mouth – raw vocals – is key, not just what’s around and beyond it. The eight defeats proved to be eight steps to Jeremy’s much-awaited big break in the music scene. And boy, it must have been the sweetest one yet for him.